Based in Tumalo, Oregon in the US, Breedlove has earned a reputation for crafting superbly made - and highly sought after - guitars. 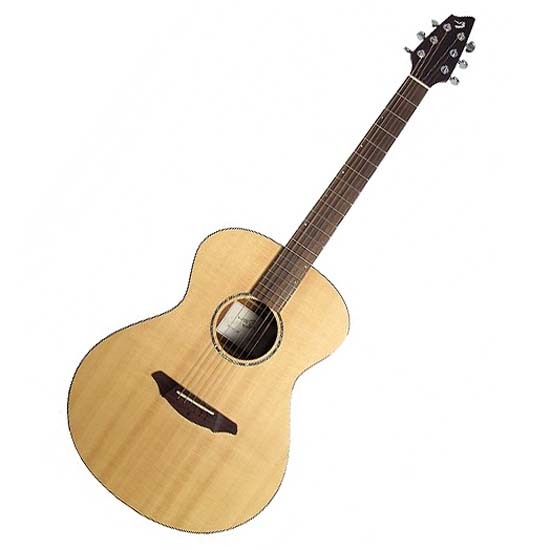 The AC200/SM is a full-bodied concert-sized guitar with solid Sitka Spruce top and Mahogany ply back and sides. This guitar exhibits trademark Breedlove technology with scalloped bracing, pinless bridge, and JLD Bridge Truss System. The AC200SM has a satin finish, Pearl position markers, and chrome hardware.